Does my Solar Freezer do that? Throughout history, when we break down the necessities to survive and thrive, we need shelter to shield us from the elements and food to sustain us. Since I’m not going to delve into the subject of shelters right now (maybe another time), let’s look at food (and potentially why a good freezer is important)! Let’s roll back a litt… okay a lot. These were dark times. Pre Freezer times. Prior to good food storage solutions, storing foods meant a limited run of dry goods that could last or curing, salting, or drying meats. The processes took a long time and if you didn’t do it in large quantities, it wouldn’t be worthwhile. Though, I suppose it would be more of a necessity back then, regardless of quantity. The risks were often high and something going awry can lead to huge losses and setbacks. Given the scale and time it took, there were long windows of opportunity for things to go wrong. Things were tough back then. If you had the means, you could afford fancy ice boxes. Those are neat, but the advent of modern refrigerators and freezers is what really changed the scope of society. What did this mean? Simple, It meant that people had the ability to keep larger quantities of food safe for consumption for a longer period of time. Production of food no longer meant “just enough”, because excess in production would be waste. Since supply is no longer restrained, maximizing yield lowers the price of food substantially. Since there’s no shortage of supply for consumers, people can buy and store food longer in bulk…. This could go on, but I’m going to cut myself short here before I go on a huge tirade on how food and refrigeration shaped and defined the evolution of humanity. Back onto freezers! The concept of keeping food cold meant more money for everyone involved. However, science had to keep up. We needed to understand! Which is why we have endless studies on how temperatures affect bacteria and other microbes. All of this has lead up to this one point. What’s the magic number? The FDA maintains that if you want to store food in the freezer for a long time, your freezer must be at -18°C/0°F. It’s the temperature that stops the growth of bacteria and other microbes. The FDA states that safely handling food at this temperature can keep food good for an indefinite amount of time, thought the only problem would be the quality of the food may decrease over a long span of time (I’m looking at you freezer burn). Freezing goods at a temperature warmer than -18°C could increase the breakdown of nutrients in foods. In fact, something stored at -12°c would degrade at a rate where the it would only have about 20% of something properly kept in the deep freezer. Though, slightly funny tasting food is still better than food poisoning, so there’s always that. But guys, what’s the point in all of this? 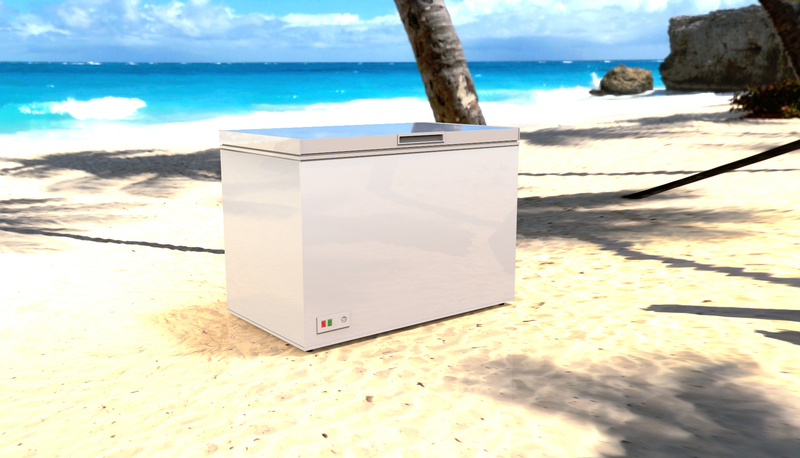 What does have to do with C4P, other than the fact that you guys make solar off-grid refrigerators and freezers? I’m glad you asked. Our competitors either won’t state their operating potentials as their appliances aren’t as efficient or able to achieve safe freezing temperatures. We can and we do. This is important to us. It’s more than a numbers game, the safety of our customers matter. This is why our solar chest freezers and the freezer compartment for our Voltray solar dc refrigerators goes down to -23°C. We want to keep you safe, by keeping your food safe. Stay Tuned … We have some exciting comparisons coming soon!